Working on a demanding wall and ceiling project? What types of things do you consider when you start a new construction project? You need to think about what materials you need. What materials will fit your application? For many commercial wall covering applications, the common wall covering is FRP (Fiberglass Reinforced Panels). While FRP is probably thought of first, there are a few draw backs for some applications. The FRP panels are heavy, and normally require a two or more person installation team. Because it has fiberglass as a main component, it is messy and hard to cut. In addition, the FRP is not approved for food preparation areas. The new Trusscore PVC Wall panels are lightweight, easy to cut and fabricate, and can be easily installed on walls by one person. Fortunately, there is a new material on the market that can solve some of the most demanding applications (Agricultural, Commercial, Industrial and Residential) and it is called Trusscore™. Trusscore™ is a PVC Interlocking panels that is highly resistant to moisture and most chemicals. Problems with mold and mildew will become a thing of the past. In addition, Trusscore™ unique inner-truss design provides superior high strength panels, while its surface is resilient to scratches, chemicals and moisture. It also has a bright appearance and is virtually maintenance free! These sheets are perfect for replacements of FRP panels, fiberglass reinforced plastic panels, in food preparation areas. Trusscore is FDA Approved, and the FRP panels are not FDA Approved. More information about PVC Sheets. Where is Trusscore™ being used? MSW, the producers of Trusscore™, have various distributors throughout Canada and the Eastern US which can be found here. However, if you are fortunate to live in the Southwestern part of the United States, there is a new Master Distributor for Trusscore. 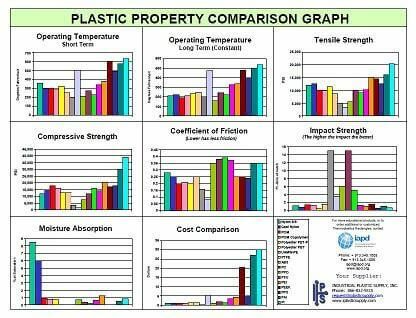 Industrial Plastic Supply, Inc. in Anaheim, California is your one-stop source for Trusscore™ and all other plastic materials. For more information on Trusscore™ please send an email click here to contact us.